The dire state of England’s schools has been laid bare. The devastating years of austerity dating back to the credit crunch, more recenlty enforced by the whole Brexit saga, has left the many schools across the country desperate for funding. 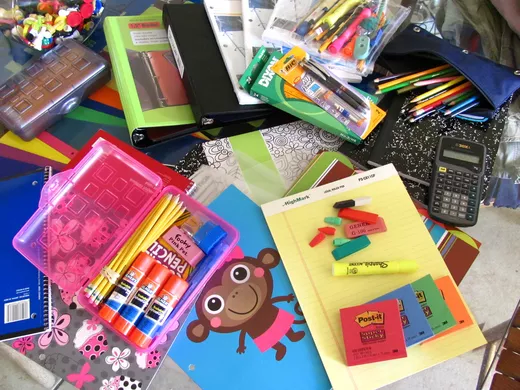 Needing supplies, more than a thousand schools have resorted to crowdfunding websites and Amazon wishlists to secure supplies ranging from pencils to books. A variety of schools have been forced into this approach, including primary schools, special needs schools, and even elite grammar schools. Backed by some of the most powerful unions in the country such as UNISON, GMB and Unite, The School Cuts Coalition estimates that state schools in England have had their funding cut by around £5 billion since 2015-16. Many schools currently struggle to employ cleaners, while teaching staff are also more vulnerable to redundancy than ever. Students’ health and education is at risk. With the government either ignorant or callously unwilling to step in, schools, teachers and even students have set up pages on crowdfunding sites such as Justgiving. One such crowdfunding scheme has had a teacher vowing to run 1,000 miles over 200 days to raise funds for his school in Harrogate. Meanwhile, a school in Somerset has asked its teachers to fulfil cleaning duties, as staff are let go. A much more common sight is the shorter school day being introduced. Many schools in England now either start later or finish earlier – or in some cases both. Primary school students in Birmingham are even being asked to go home at lunchtime on Fridays in order to reduce running costs. Today, penniless schools across Britain are caught in a bind. Their resources choked by budget cuts, they are increasingly becoming unofficial support services for the UK’s poorest families. Schools are supplying food parcels, clothing and laundry facilities to families made destitute by austerity, all while trying to balance their own books. Away from reality, the Department for Education has promised more cuts next year. Back in the real world, parents will continue to dig deep to make donations, teachers will run for their students, and a generation of children will be made to suffer for an education they are entitled to as citizens of the UK.